A little more than a decade ago, the IT world began to buzz about the next big thing, a concept called service-oriented architecture (SOA). SOA promised a better way to build enterprise applications, delivering efficiency, business agility and fluid communication — a near revolution in business workflows. Such was its promise that business executives — not just CIOs — began to ask, How do I get an SOA? In the fog of excitement, few executives asked the more appropriate question: What exactly is an SOA? Is it an off-the-shelf product, an IT methodology, a business philosophy? And where does it belong in my organization — do I need a strategy to drive business value from it? Today, artificial intelligence (AI) triggers similar levels of excitement, with a chaser of fear. In a recent survey by New Vantage Partners, C-level executives crowned AI the most disruptive technology — far outranking cloud computing and blockchain. And nearly 80 percent of those executives fear competitors will harness AI to outflank their business. Create a strategy. AI is already making an impact in the enterprise — via chatbots, virtual assistants, and other point solutions. Experts advise executives to establish a framework for how AI will be incorporated into business strategy and processes, and to define measurable goals. Apply executive support. Assign a C-level executive to oversee the company’s strategy. “When companies are looking to do fundamental digital transformations and reinvention of the business, there is incredible value in having top-down guidance drive much of that activity,” says Microsoft’s Joseph Sirosh. That cocktail of enthusiasm and trepidation hasn’t slowed progress: 93 percent of C-level executives say their company is investing in AI. But for some of them, the concept and practice of AI are as murky as SOA was a decade ago. From an executive’s perspective, now is the time to answer critical questions: What is AI, what can it do for my business, and who should be responsible for its development and strategic alignment? Although 93 percent of businesses are investing in artificial intelligence, not all are using it in the same way or toward the same end, says Sud Menon, director of software product development at Esri. “AI is a very broad term, and businesses are adopting different aspects of it at different rates,” Menon notes. 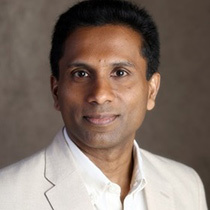 When envisioning how AI can deliver value to their enterprises, business executives should think of three primary processes, according to Menon and Joseph Sirosh, corporate vice president of artificial intelligence and research at Microsoft: internal business operations, customer interactions, and business planning. Interestingly, a survey by Tata Consultancy Services found that high-performing companies are more likely to focus their AI efforts on internal operations, while AI followers tend to concentrate on customer interactions. Internal Operations. AI is improving companies’ internal operations in several ways. In some workplaces, AI-based facial recognition systems regulate employee access to secure areas. Predictive maintenance systems run by AI help determine the optimal service schedule for fleets of delivery vans. And AI-infused bots are performing HR tasks that once required human intervention, such as guiding employees through the steps of changing their last name, or adjusting the allocation of their 401k plan. The bots connect to systems of record like ERP and HR software, analyze pertinent data, and lead employees through an intuitive workflow. Customer Interactions. AI is adding intelligence to some customer-facing tasks. For example, AI powers many of the recommendation systems that suggest a relevant product or a message to a website visitor who lives in a particular location. It anchors security systems that recognize a fraudster’s voice signature or suspicious online activity in real time and deny the person access to an online account. And it supports the chatbots that interact with millions of consumers online each day. Much has been made of AI’s abilities — to see, to understand human speech, to predict outcomes. But some wonder whether the technology has evolved enough to form the foundation of business decisions. For instance, a recent WIRED story reported that an AI-based image detection program was 91 percent sure that a photo of two skiers was a dog. It turns out that like any computer program, AI will need debugging before it is put into production. AI systems today are statistical learning systems that drink in data. If the data used to teach AI systems is flawed, either because it’s wrong, statistically unsound, or does not cover the use cases the AI system was designed for, the outcomes can be erroneous. For example, an AI model schooled to predict the health outcomes of a certain diet might overstate results if the data used in training the model is tied to a specific subgroup of the population. In such a case, the model would have no way of taking into account the genetic and lifestyle variations in other groups that could modulate the effect of diet on health, and its results could be flawed if applied broadly. The good news, Sirosh says, is that AI systems can be tested in scientific ways — with new data — and validated. Especially in the case of AI designed for mission-critical operations, it may be important to have controlled statistical testing, similar in spirit to clinical trials in medicine. “It is up to a business to gather the right data for the problem at hand and apply prediction results appropriately depending on the type of problem being solved and the decisions being made,” Menon says. Executive-level support can set these ground rules for AI, helping ensure accurate decision support throughout the enterprise. With the right data, the business case for applying AI widely is growing stronger by the week — across many forms of AI. A Danish company, for example, claims that the AI behind its pricing technology can improve gas stations’ margins by as much as 5 percent. Meanwhile, the insurance company Lemonade recently claimed a world record, saying the company’s AI bot settled a client’s claim in three seconds (including sending wiring instructions for the payout and notifying the client of the settlement). In all these instances, businesses are either offloading decisions to AI or strengthening them with AI’s help — and creating new experiences for customers, new business models, and new ways of working. One type of data driving AI in new directions is location, Sirosh says. “Geographic information systems [GIS], which can correlate and analyze location in time and space and integrate it with many other types of information — and then serve it up for higher-order AI to be applied on it — are particularly interesting,” he told WhereNext. “GIS and geography provide organizations with additional contextual information that enriches observations, leading to better predictions,” Menon explains. That might be the quarterly sales at stores in a particular market. Or the rate of home ownership in the area where a bank is considering building a new branch. It could even be data on physical phenomena such as weather, vegetation, or urban density. The more data elements that GIS catalogs, the more oxygen AI has, and the better its predictions will be. “Most things are located in the world and related to or influenced by nearby things,” Menon says. That simple statement underscores the value of using location data to strengthen AI-based decision making. Unlike technologies that are well known but struggling for widespread business adoption — among them, virtual reality and blockchain — artificial intelligence is already being put to work in organizations worldwide. The coming-out party for AI is due to three factors, according to Joseph Sirosh, corporate vice president of artificial intelligence and research at Microsoft. The first is the massive compute power now available in the cloud or on premises, which allows data to be processed into insight. The second is the data unleashed by digital transformation, including sensors that relay information via the Internet of Things (IoT), GPS and mobile devices that report accurate locations, and innumerable other sources. Sirosh calls data the oxygen of artificial intelligence. The third pillar of AI is the algorithms that fuel its intelligence. 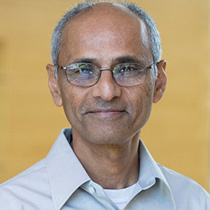 Recent innovations have provided AI with “the ability for computers to learn from every type of data, make predictions, and act without being programmed explicitly,” Sirosh says. Together, those forces help AI mimic — and in some cases, outperform — humans’ abilities to see, analyze, communicate with, and make predictions about the world around them. Just as search engines revolutionized the speed of information discovery and knowledge sharing, AI and location data are accelerating business activities by performing some tasks faster than humans can, with more data. The benefit isn’t simply faster decisions, Sirosh and Menon say. It’s smarter decisions. A new breed of AI-based sales analysis is a case in point. A sales executive at a national retailer has identified young parents as a core customer segment and wants to learn more about them. But manually gleaning insight from thousands of customers and hundreds of thousands of transactions is an impossible task. The company turns to a machine learning model in the hope of discovering more insight. The goal is to find patterns in the data that will help the company understand this core customer segment — insight that will improve the company’s marketing messages, store assortments, and the events it sponsors in its communities. The project team tutors an AI model using data from multiple stores, including customer addresses and a record of purchases attributed to each address. The AI model sifts through these records looking for insight. It homes in on diaper purchases as a signal for young parents and discovers a curious correlation: many diaper purchases are accompanied by purchases of pill organizers, denture cream, and senior vitamins. To refine the analysis, the team enriches the AI model with location-based demographic data pulled from GIS. To each customer address, the AI model adds hundreds of data points about the demographic characteristics of the surrounding neighborhood — average household income, family composition, marital status, hobbies, languages spoken, and recreational preferences. Combing through that location-enriched big data, the AI algorithm reveals something executives hadn’t expected. At many of the company’s stores, young parents from the surrounding area live in multigenerational homes. And, as it turns out, the grandparents are doing most of the shopping. Business Strategy: Who Oversees AI — CXOs or LOB Managers? Considering AI’s expected business impacts and the fact that 93 percent of organizations are already investing in the technology, it’s worth asking where artificial intelligence should live in the organization, and who should be responsible for it. There may be no simple answer, but those with a ringside seat for AI’s emergence have some suggestions. “When it involves the data that a company uses and the way that decisions are made, AI requires top-down vision and investment,” Menon says. Sirosh agrees. “Where we have found dramatic wins related to AI, the CEO had a vision of how to transform the organization toward creative work and away from old-economy and labor-intensive processes, or to create new customer experiences and business models. That vision was much more cohesive and integrative than what would have bubbled up” from the lines of business, he says. Using AI to move companies away from labor-intensive processes will likely have profound effects on the workforce. McKinsey researchers assert that 45 percent of activities in today’s workforce could be automated — whether through AI or other means. And when natural-language processing — a form of AI — reaches the median level of human capability, another 13 percent of jobs could be on the block. C-level executives will need to find an effective balance. Writing about the C-level challenges of AI, McKinsey senior partners Jacques Bughin and Eric Hazan note that measurable ROI typically comes only when AI is laced into a business’s culture and workflows. That in itself is a sizable feat, the partners say, possible only with the guidance of company leaders. Workforce shifts and workflow transformation aside, Sirosh and Menon advise concerned executives to focus on the foundation of AI. The goal of such a sophisticated technology, they say, is rather simplistic. AI, informed by location data, helps organizations reason and interact with the increasingly sophisticated world around us,” Sirosh says. Marianna Kantor joined Esri as chief marketing officer in 2015. Prior to Esri, Marianna was the VP of Marketing at PTC, where she built the worldwide services marketing and field-enablement organization, helping drive sustained revenue growth in dynamic and changing markets. Marianna has held technology and marketing leadership positions throughout her career in leading organizations such as AT&T, Akamai, and Los Alamos National Labs. At Esri, Marianna is exposing and amplifying the transformational capabilities of geospatial technology as an indispensable tool for problem solving and decision making in business and government. Marianna holds two engineering degrees from Columbia University and University of Pennsylvania, and an Executive MBA from MIT. As Esri’s chief technology officer, Jay Theodore guides the long-term vision for the ArcGIS platform. Jay is passionate about harnessing innovative ideas to increase the value companies gain from location intelligence, geoscience, computer science, and technology. He takes great pride in working with outstanding software developers, architects, and product engineers. Jay earned a master’s degree in computer science from Florida Institute of Technology, where his research focused on finite element analysis and modeling (FEA/FEM), computer graphics, and composite structure design for Space Station Freedom. He also holds a bachelor’s degree in computer engineering. 1 Comment on "Geography and AI combine for business intelligence"
Any one provide me an idea of GIS related project to monitor transport activities using AI or Machine Learning.